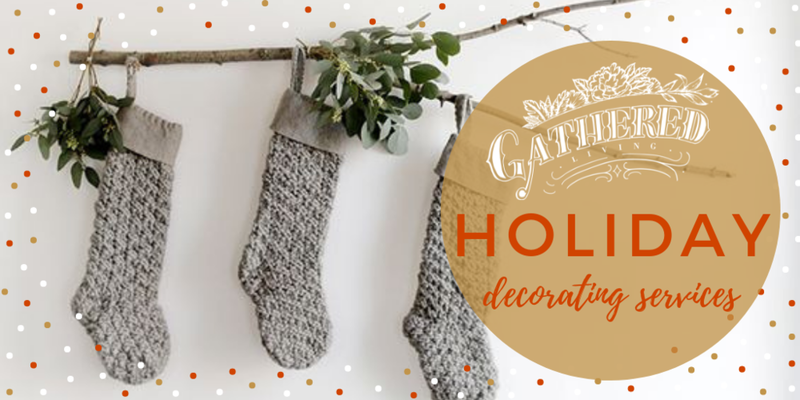 I’m super excited to be offering holiday decorating services again this year with the help of my Gathered Living design team. To make it simple, I’ve created some basic packages based on what most of my past clients have preferred/needed for their holiday decorating. Keep in mind all the packages listed below cover styling services ONLY for your existing tree/decor. There are several options for Christmas trees depending on the amount of set up you want to do. If the tree is pre-lit and already set up, the cost is $100 for top to bottom decorating. If your tree is set up, but still needs lights added, the cost is $150 for lighting set up and top to bottom decorating. Finally, if your tree is still in a box or needs assembly, the cost is $200 for full assembly of the tree, adding lights, and top to bottom decoration! We are also offering a 3 hour decorating time slot for $150 that you can use for any combination of holiday decorating services throughout your home- whether it be mantles, stairways, porches, table settings, or small trees. If you are wanting to add new pieces or to refresh some of your current Christmas decor, we are happy to shop for items for you and bring extra items with us! This is something we will set a budget for and discuss with you when setting up your decorating appointment. We will just bill you for the price of the items at the end of the project, giving you a chance to look at everything and ensure you want to keep what we have chosen. If you don’t see a package that fits the styling services you need, just purchase the “custom” option and we will work with you to create a quote for your project. The “custom” fee will act as a deposit and will ensure that you still have a reserved time slot. Find a list of the packages available below which will be open for purchase Tuesday November 13th at 9 PM (check back here to purchase)! I’ve also listed some Q+A details below to explain more so you’ll know exactly what to expect with your appointment. As always you can also e-mail missmollyvintage@gmail.com with any additional questions! You can purchase your package at the end of the post! All packages listed include styling services ONLY using decor you already have. If you would like for us to shop for or add additional decor, we are happy to do that! We will work together to set a budget for any additional decor, find out your preferences as far as style, and then bill you at the end of your project for added pieces. This gives you an opportunity to see everything added as well as the prices, and make sure you want to keep what we have chosen. You are not obligated to keep any extra purchased items. how do i set up my decorating time? Choose your preferred week when buying your package and then we will follow up via e-mail upon purchase to set up a specific day/time that works well with your schedule (we have both daytime and evening availability 7 days a week). 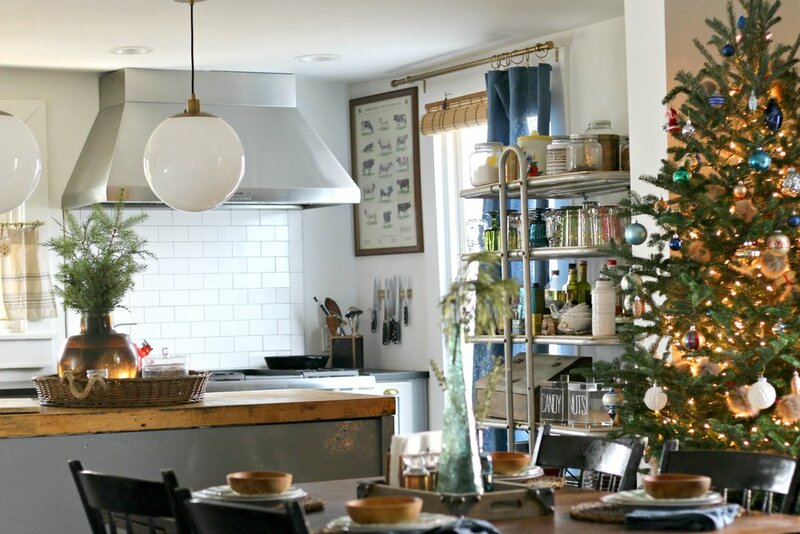 You do not have to be home during the decorating process if you don’t want to be. This will vary depending on which package you choose and we can let you know specifics when setting up your appointment. For example, if you choose the $100 tree decorating package, you will need to have your tree fully assembled with lights on and already placed exactly where you are wanting to display it in your home. Leave out all decorations you want us to put on the tree and any specific instructions you may have for them (we know some people like certain ornaments to be displayed front and center, or a specific arrangement for their decor). You also may want to leave out a vacuum or broom so we can clean up around the tree afterwards. We want to make sure everything is as complete and beautiful as possible!